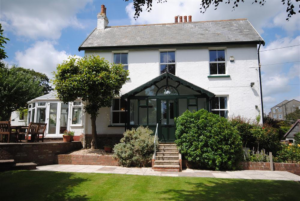 Dorset Coastal Cottages is an independent family run self-catering agency with over 200 holiday properties all of which are within 10 miles of the sea. Our holiday properties range from sleeping 2 up to 17 guests, so many of them are ideal for larger family get-togethers. Over half of our holiday properties accept at least one dog and many accept two or more. We can offer the rural idyll in one of Dorset’s picturesque villages or all the fun of the fair in one of our lively traditional resort towns of Swanage, Weymouth and West Bay. We are a fully Accredited Agency by VisitEngland. All of our holiday properties are assessed annually by VisitEngland trained inspectors and all we are proud to say that all have received between 3 and 5 star gold awards. Our holiday properties are dotted all the way along the famous Jurassic coast from the Devon border to Studland and Arne. Many of our properties have sea views and over half have a fire.